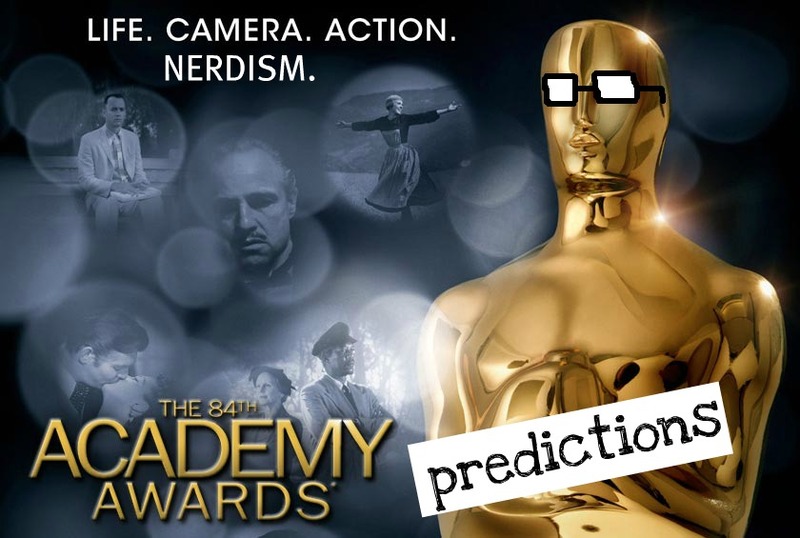 Welcome to part five of my official Oscar predictions - this season of Annual Awards Nerdism is just about done. Tonight I will rank the 7 Best Picture nominations that I've seen (in order of how much I like them) and end with my final prediction for the big winner, but first, I have a few words about the Oscars this year. PAST PREDICTIONS: Acting; Writing and Directing; the 'Bests' and Visuals; Sound and Design. 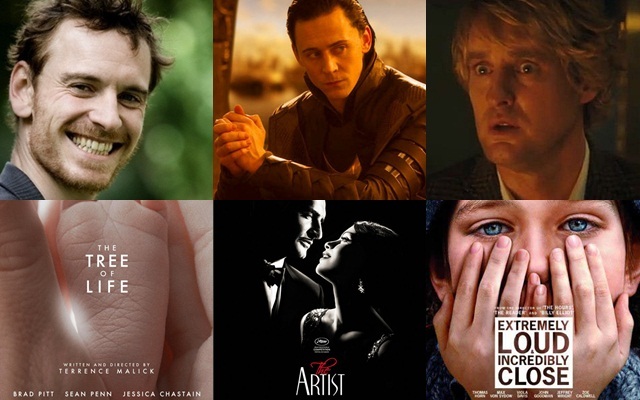 If I've been taught anything about this past year of film, it is that I am big on emotional manipulation. When I go to the movies, I like to have something to show for it when I first come out of the cinemas. Two films that made me show my experience clearly were The Help and War Horse. If you saw me after seeing those films, you would have thought that someone had stabbed me in the heart or something, because the tears just kept coming and coming. And when you cry in a movie, you obviously got something out of it. So where people were turned off by the emotional manipulation, I succumbed to it, and as I watched more and more 2011 films I started to find it was a vital ingredient. Which is perhaps why I didn't take after The Descendants, a film with barely any sentimentality, or I wasn't convinced by Moneyball's emotional coldness. I need emotions - I have to be able to connect with a film, which I believe is the main basis of this blog. Anyway, enough of all of that deep stuff. A lot of people have been turning off the Oscars this year. Even 'prominent awards bloggers' (what does that even mean?) have been turning off in the Oscars. While I admit that I'm nowhere near as excited for the awards as I was last year, I'm still very much willing to jump to the defence of them. Sure, there are some strange nominations this year. Sure, the ones that did get nominated weren't the most exciting choices. Sure, this awards season has been predictable. But as I said before, I like emotions. And the Oscars are full of those. I like watching the reactions, the gushing speeches, the applause - I like seeing people rewarded, because film-making obviously is hard work, and when you make a movie good enough for the Academy, you did something right. I just think it is a magical day, no matter what happens. That probably stems from my dream to actually win an Oscar one day...I honestly couldn't think of anything cooler. Whatever the outcome of tomorrow, I'll still be checking my phone like crazy in my last class of the day (well, providing the teacher is distracted enough), I'll be rushing home after school to hopefully get a good online stream, I'll probably be squealing over some good wins. Because I'm cliché like that. When I first saw this movie half way through January, I was going in with high expectations because it looked like the kind of movie that I'd like, and everyone else seemed to like it too. Considering I'm someone who usually goes with the flow, you'd think I'd be quick to jump on the bandwagon. Wrong. Just after seeing it, I kept trying to will myself to give it an 8/10, then a 7/10, and then I felt guilty all night for settling on a 6/10. Right now, I'd be willing to give it much less - but this is the overhype talking, and if I ever saw it again I'd probably be able to agree with that rating. In all honesty, I just didn't see the love for it, or for George Clooney's performance, and again, that Sid character was extremely poorly written. 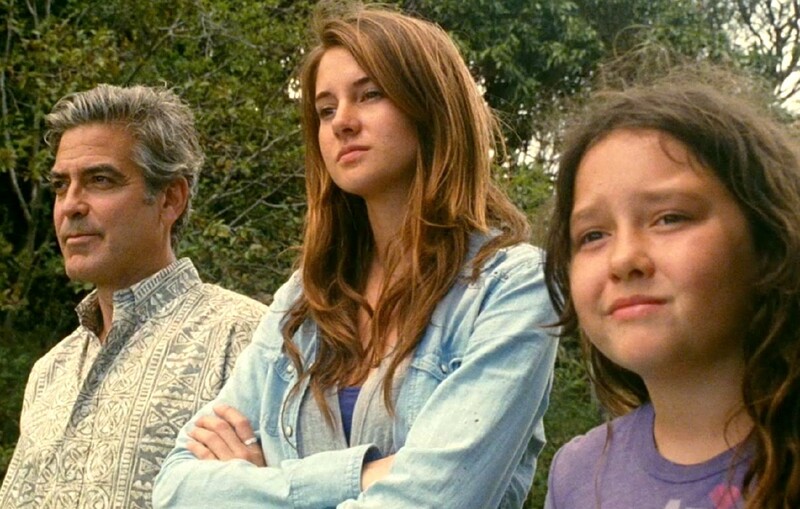 I did love Shailene Woodley, though, and I'm damn glad that she got that Spirit award today. Okay, this isn't a perfect movie. When I went to see it back in September, I had just read the book, which I was in love with, and the movie definitely impressed me. There are two main things I like about it, though: the first is that it is a solid movie which the people of Dannevirke (and I imagine anyone else who probably doesn't take to movies that much) can mostly agree on. And you can't deny that it is a solid female ensemble film, which we don't see too often. 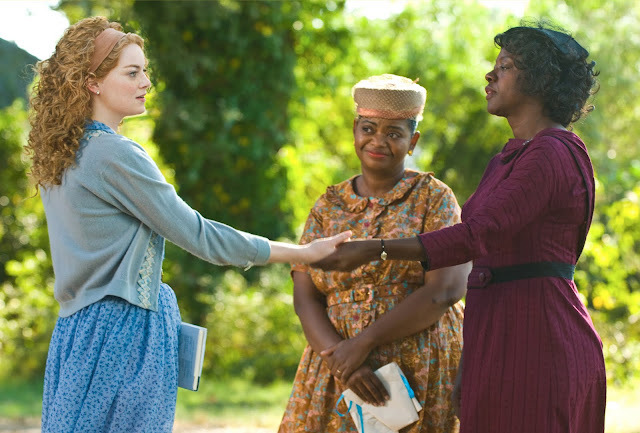 Oscar nominees Viola Davis, Octavia Spencer and Jessica Chastain are all great in it, as are Bryce Dallas Howard, Emma Stone and Sissy Spacek. I'm a sucker for good performances, and this movie definitely did have a few examples of that. I don't know my baseball from my basketball but that didn't matter. Moneyball is written by two screen-writing Gods, Aaron Sorkin and Steven Zallian, who could probably write a movie about two chickens crossing a road and it would still be wildly interesting. 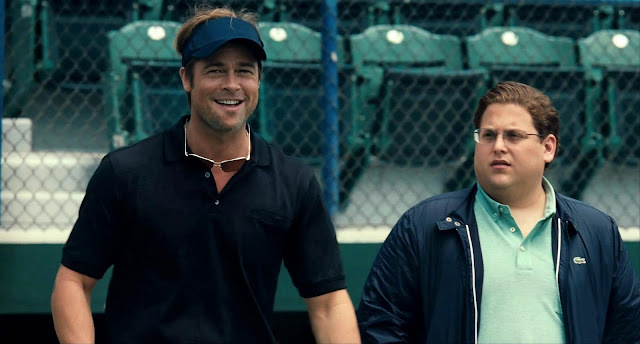 Moneyball is smart, and it isn't all about the sport that I know nothing about - it is about Brad Pitt's character and the struggles he comes to. He anchors the film, with his charismatic portrayal of Billy Beane, in one of his best performances. Plus, Moneyball is expertly made - the cinematography, editing and directing is among the best of the year. Unfortunately the film probably won't walk away with anything, and probably won't be too well remembered after awards season is finish, but that's just the way the wind blows. I'd actually love for Hugo to take this award home, as it perfectly captures why I love movies. Alas, even with the 11 nominations, The Artist's love for movies will probably have it beat. I feel sad when people say that they didn't like this movie, because the second half is all about the movies, and if you didn't feel any sort of emotion, do you really love films? I don't know. 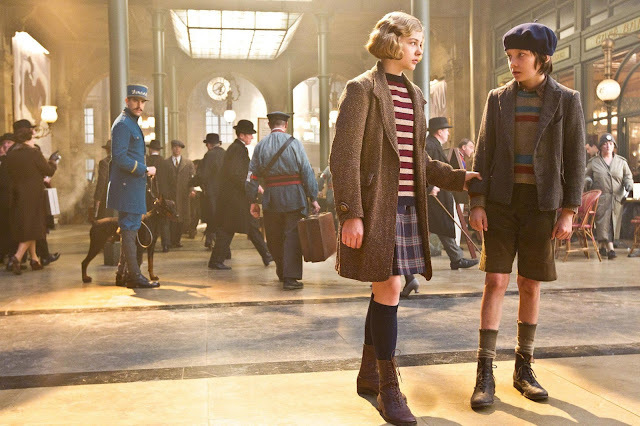 Hugo was a beautiful, beautiful movie, and while it may have failed to be a perfect kids movie, I still got a lot out of it. Long live Martin Scorsese. This was the first of the nominees that I saw, and it is by far the one that sticks out in my mind the most. I know that it isn't the easiest to follow, it may be a little too ambitious and pretentious, and it isn't the best for anyone with movie ADHD, but it is a darn beautiful movie with more meaning than I ever could have wished for. It is such an odd, perplexing film that I'd hesitate to recommend to anyone I know, even though that it part of it's beauty. Plus, it features the best use of Jessica Chastain's face in 2011. That should become an official Oscar category. It's such a shame that the DVD release of this movie had to be delayed for three weeks, because I was really looking forward to falling in love with this movie all over again before the big night. I have so much to thank this movie for - especially the fact that I now have a pretty good idea of the literature of the 1920's, which makes me sound smart (and is the basis of one of my assessments this year). Up until now I've never liked a Woody Allen (mind you, I wasn't really picking from the cream of the crop), but I absolutely loved this one. It was just so magical. Yeah, I'm going to get a lot of crap for choosing this as my favourite of the Best Picture nominees. Because it is basically everyone's least favourite nominee. But you all know how I feel about this movie, and the fact that I got all of the connection I could have wanted from it. I realise that it wasn't perfect at all, but it was perfect for me, which is all that could have mattered. And I was a sucker for how darn beautiful the cinematography was. I love horses. I love Steven Spielberg. 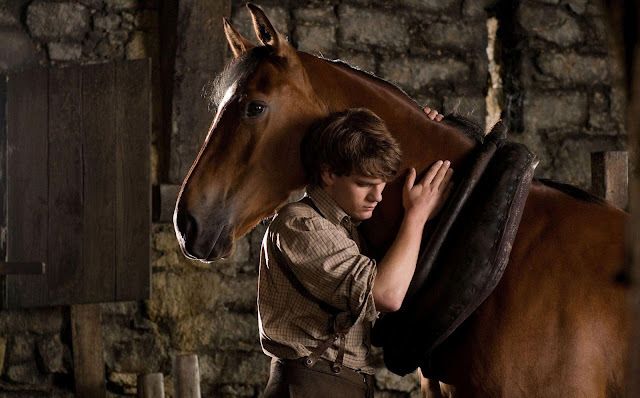 I love War Horse like there's no tomorrow. Even though War Horse is my favourite of the nominees, I'm actually gunning for The Tree of Life to take the award because that would show that the Academy were actually capable of doing something ballsy. Alas, we all know that The Artist will win the award. And we all know Extremely Loud and Incredibly Close is the longshot, because everyone was so surprised that it even made it in. So there's my final prediction. What do you want to take out the big prize? I shall see you tomorrow with my recap of the big night - even though you probably won't need another post about it! I'm with you on emotional connection. I cried terribly, watching Hugo and The Artist, that's probably why these two are my top two of 2011. I also agree with you on Oscars being a magical time. I remember I was rooting for Avatar as BP and Directing, but even when The Hurt Locker and Kathryn Bigelow won I was happy for her and the film. They all do their best. ANd yes, I agree that the winner is The Artist. And I want it to win. I'm so glad that someone agrees with me!